Le Mans pole setter Colin Edwards reckons tomorrow’s French GP is win or bust as he bids to put forgettable races in Turkey and China behind him. The Texan was taken out on the first lap in Istanbul by Olivier Jacque and then suffered big Michelin rear tyre problems in Shanghai that left him languishing down in 11th place. Edwards said he was hoping pole position would bring him some good fortune, as the previous three times he’s qualified on the front row in 2007, he hasn’t converted into a podium. Ironically his third place in Jerez came in the only race this season that he’s not qualified on the front row. “My best result came from the second row so today don’t mean anything. But our bike on qualifiers is phenomenal. All the problems we had in qualifying in the past we just don’t have. It’s just perfect and a dream to ride, “said Edwards, who was also happy with his pace on race tyres, though he was upset at Michelin’s recent criticism of his tyre selection for Shanghai. 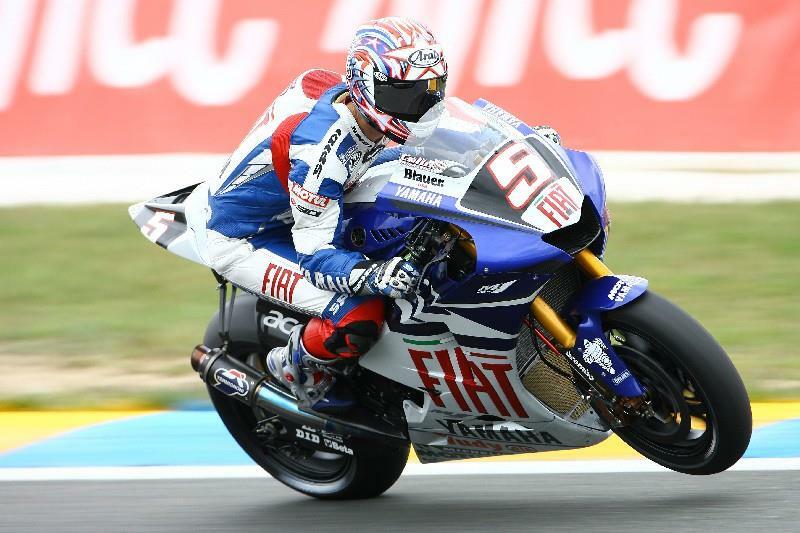 Edwards claimed first Yamaha podium in Le Mans back in 2005 but counted himself lucky to be even starting tomorrow’s race after a massive high-side crash in this morning’s third free practice session.